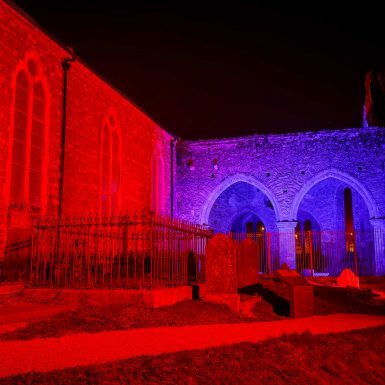 The medieval Saint Mary’s Church in New Ross is renowned for the beauty of its amazing Gothic features, although time has taken its toll and all that now remains is a ruin. 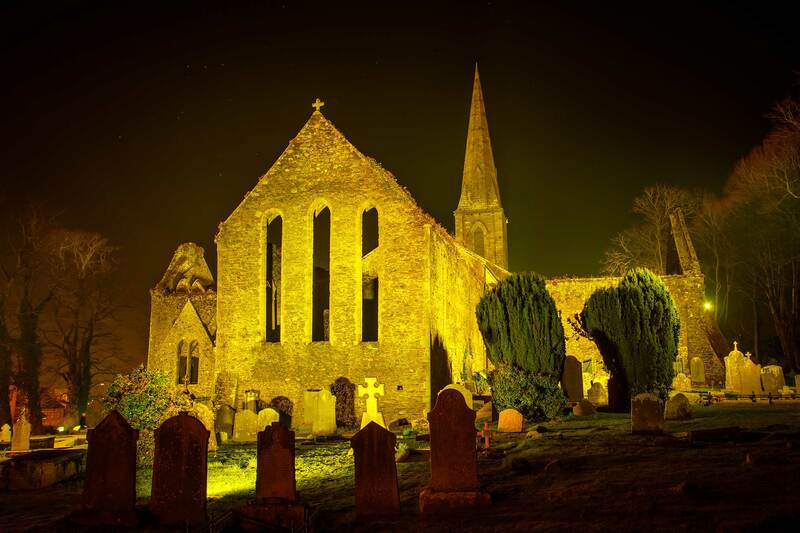 Completed in 1210 on the ruins of a 6th century monastery, Saint Mary’s Church is one of the largest medieval parish churches in the whole of Ireland. 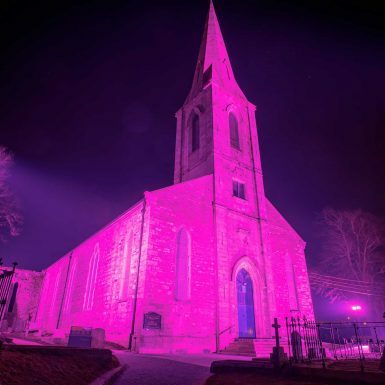 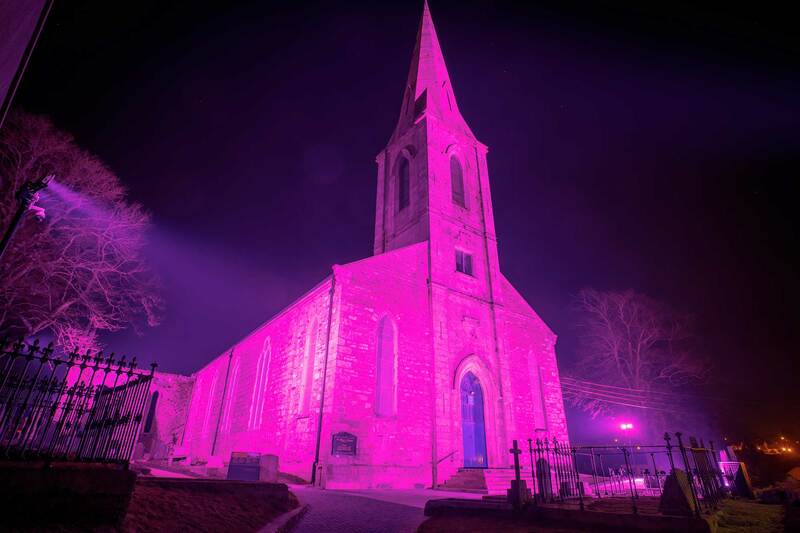 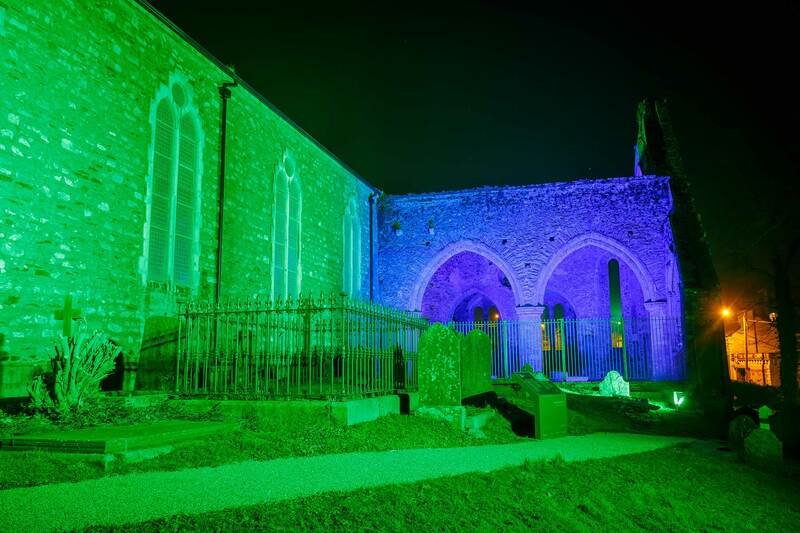 Because of its historical relevance, Wexford County Council decided to enhance the building with a new attracting colour-changing illumination. 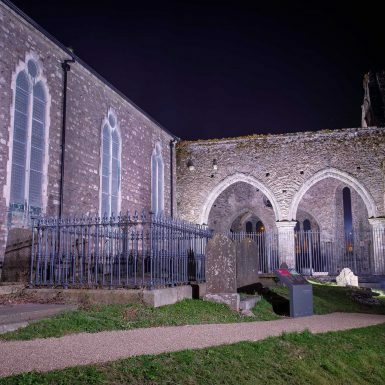 As the primary contractor and project leader, Paul Read from Al Read Electrical worked closely with Enlighten, and Griven to develop and install a unique lighting solution. 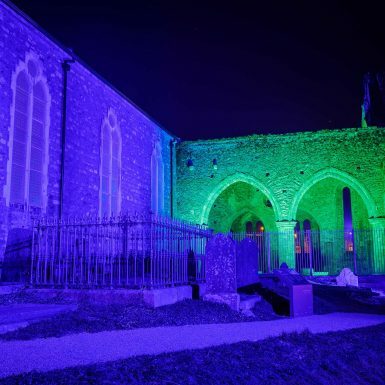 The approved lighting design involved the illumination of all the sides of the church in bright, lively colours, which enhance the architectural features of the historical site with an intense, uniform light distribution. In order to comply with these requirements, the newly improved version of Powershine MK2, in its single and double bank configuration, was proposed, and accepted, as a highly efficient and high-performing solution. 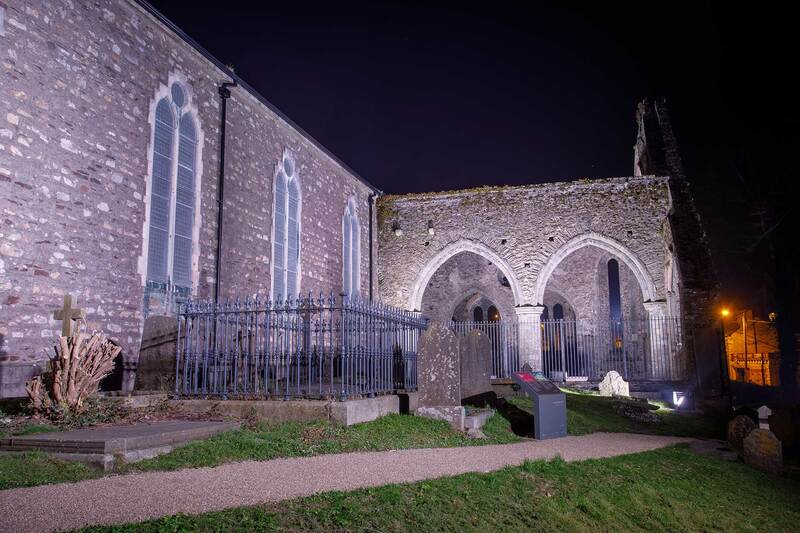 The installation of the single and double bank Powershine units had to respect fixed positions and distances. 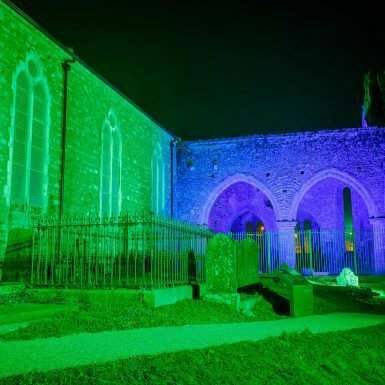 Therefore, Powershine MK2 S and D in RGBW colour configuration with different optics were distributed along a perimeter set at a determined distance from the church walls, either on the ground or on poles. 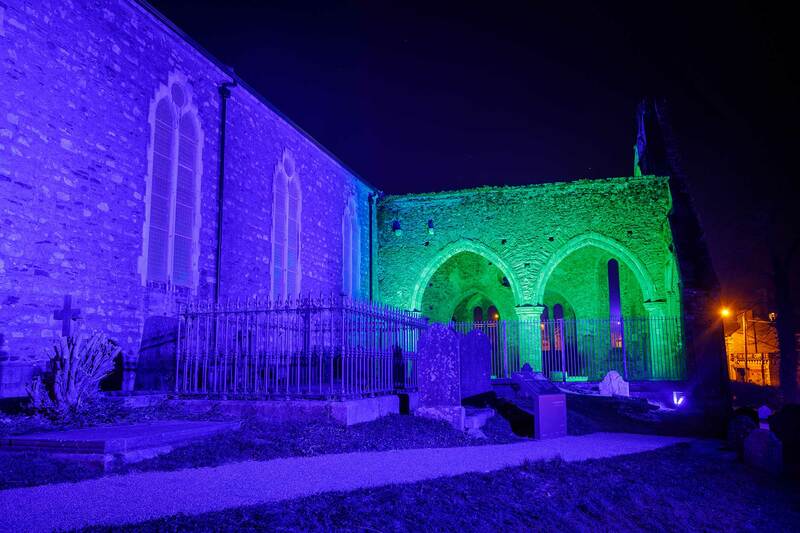 The final result is really striking and the vibrant intensity of the chosen colours set the whole site into a timeless atmosphere.  “This was a particularly challenging project for the team involved, but nonetheless a very exciting one,” said Enlighten Chairman Gabriel Byrne. 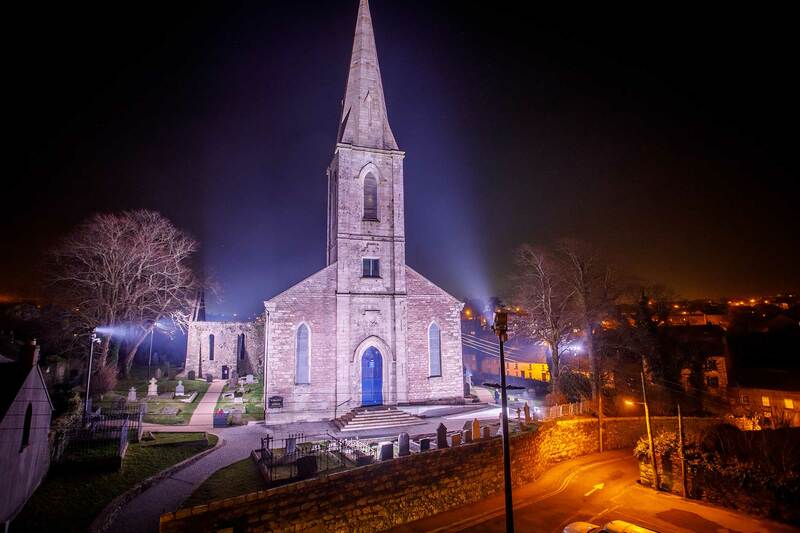 “With Al Read as project leader we delivered a lighting solution that is sympathetic to the history of this amazing church and respectful of its religious significance. 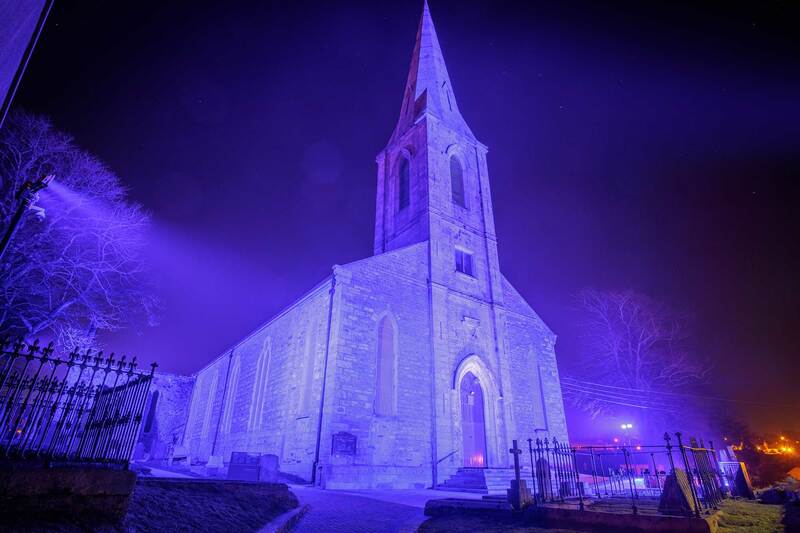 “At the same time it applies a modern colour-rendering scheme that highlights the structure’s features and presents it as a landmark building.